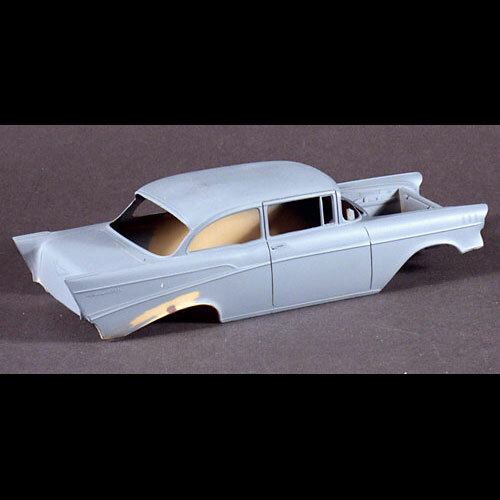 1957 Chevy 210 2-Door Sedan Resin Model Kits by All American Models AAM. This 1/25 scale resin 1957 Chevy 210 2-Door Sedan includes the body, interior tub, seats and chrome plated grille with no bar in the center. 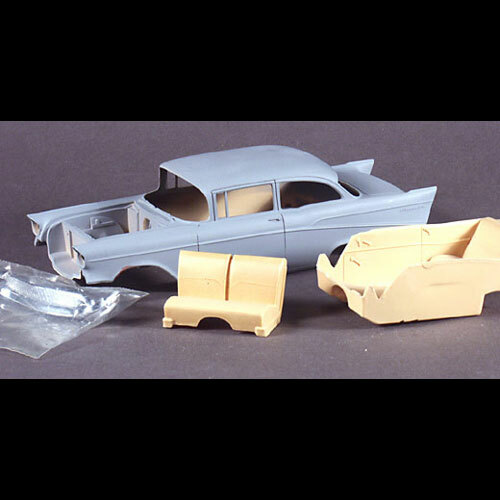 Use the early-tool AMT 1957 Chevy hardtop kit (the one with trunk that does not open) for the rest of the donor parts.